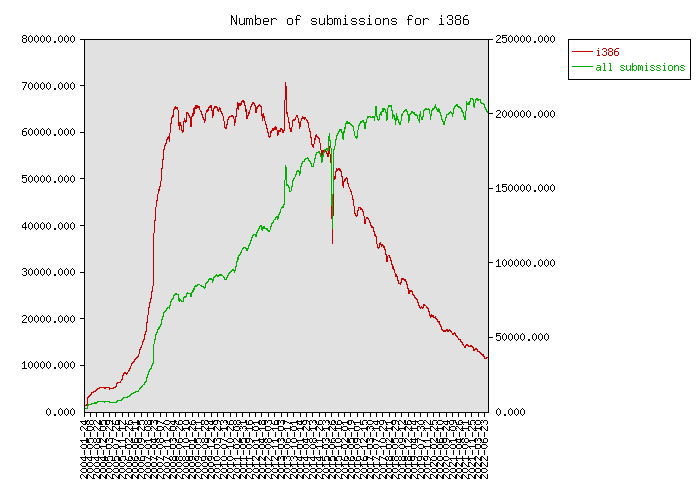 fall in the number of submissions? Speaking of my own experience: I always install it, except on test machines where the results would be futile anyway. However, having done this for years, I now wonder every time I see the installer question whether there's any point, since I never see any feedback. Maybe making results more visible could improve adoption? 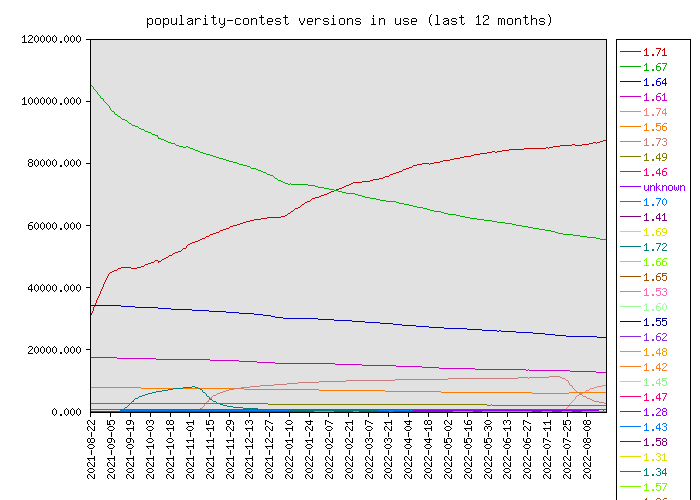 A script to display statistics about one's own system, packages used last week, packages not used for >3 months, most used packages, popular packages we're not using, etc?